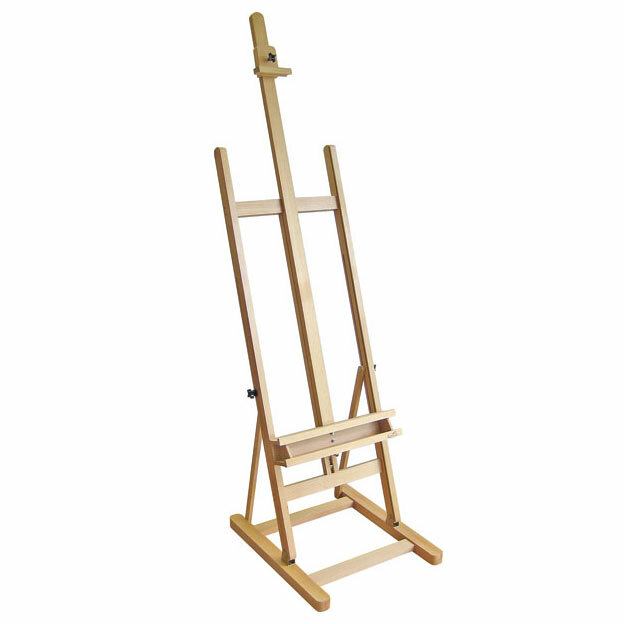 A solid well designed easel ideal for studio and college use. The lower canvas rest features a shelf to hold brushes and tubes of paint etc. and can be adjusted in height with the use of a ratchet mechanism. The painting angle has a wide angle of adjustment and the easel can be folded flat for storage.